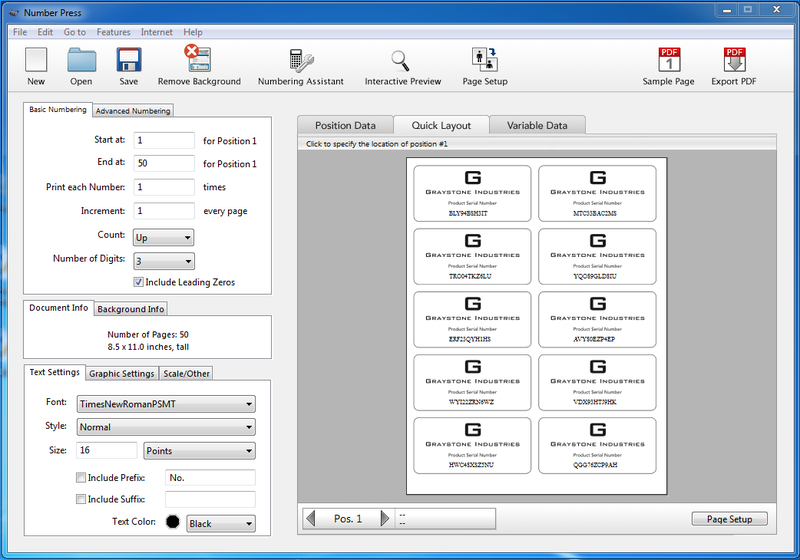 Number Press - The #1 Numbering Software Worldwide! 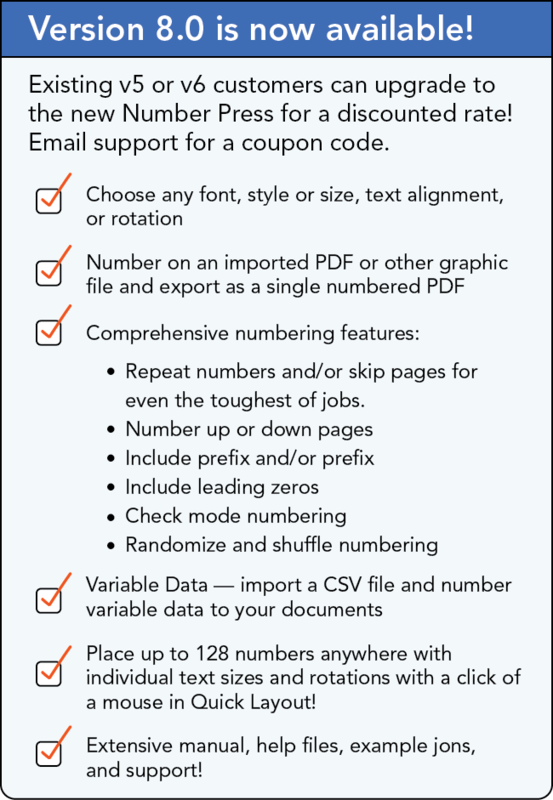 Number Press - Numbering Software for forms, raffles, and documents. Numbering has never been easier! Just a few steps before your job is numbered! 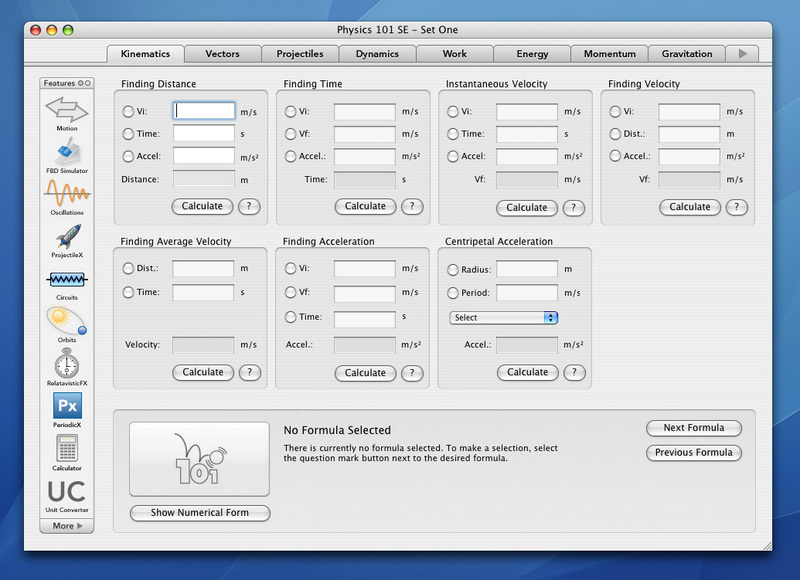 Select your type settings -- choose any font, style, color, text alignment, or size. 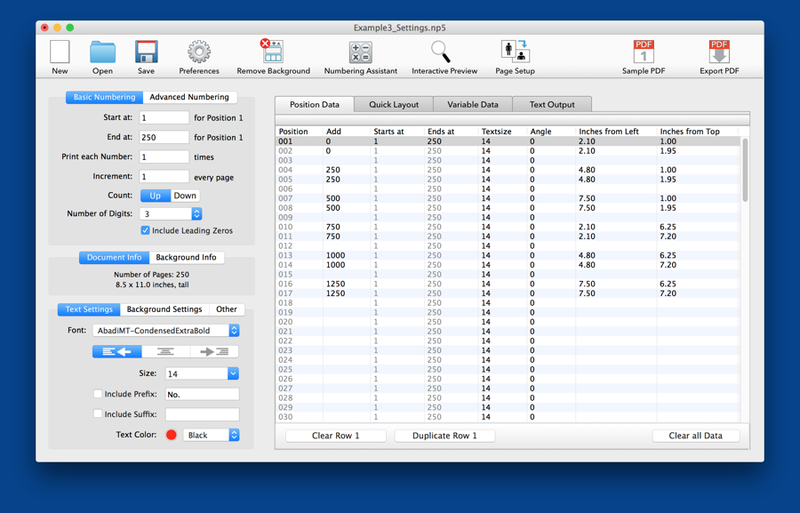 Enter your numbering settings with the Numbering Assistant. 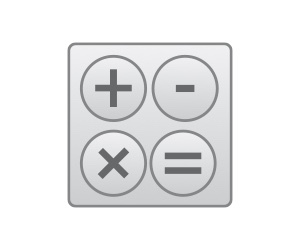 Specify the positions of your numbers with a just click of the mouse in our Quick Layout. Generate your numbered document! It's that simple, every time! 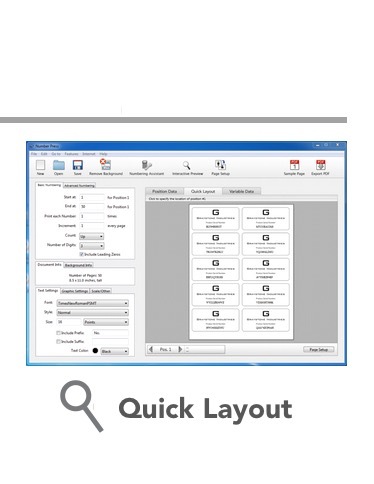 With Number Press, you can print scanned or exported image files and number at the same time -- in just minutes! There's no need to put it through the printer twice. Just set up your settings, import the file, and your job will be done in no time! 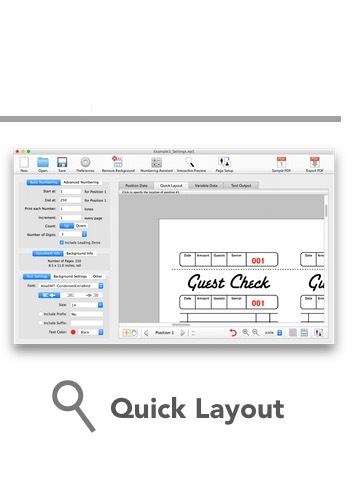 Your numbering jobs are now done in seconds rather than hours -- cleaner, faster, and leaner than ever before! 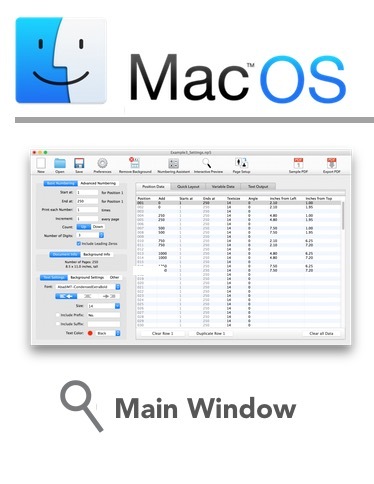 Perfect for repeat jobs, you can re-import previously numbered PDFs -- saving time and money. Anyone who has used another numbering software can tell you that placing the numbers is a nightmare... but not with Number Press. Just go into the Quick Layout, and click exactly where you'd like the numbers to appear -- up to 128 of them! And, unlike other numbering programs, we actually SHOW you what number you've placed. 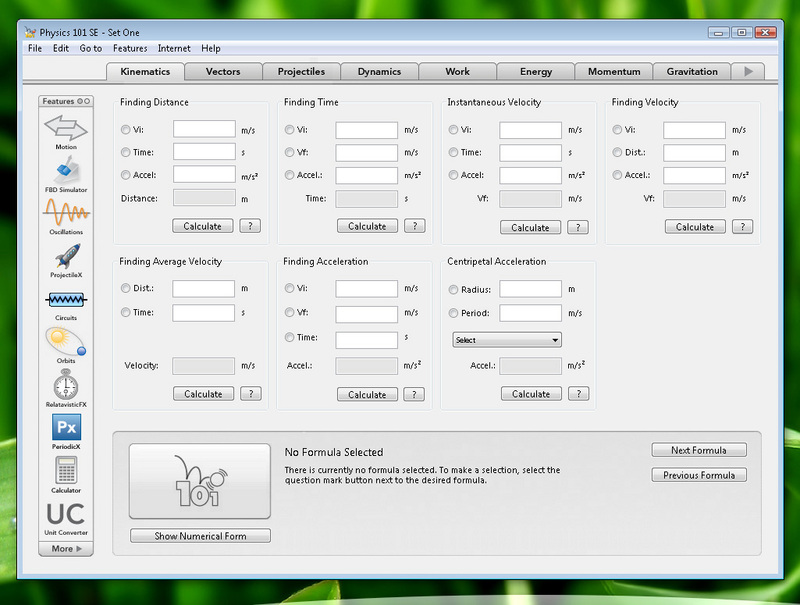 You can also rotate any numbers you wish to whatever angle you'd like. It's so cool and fast! 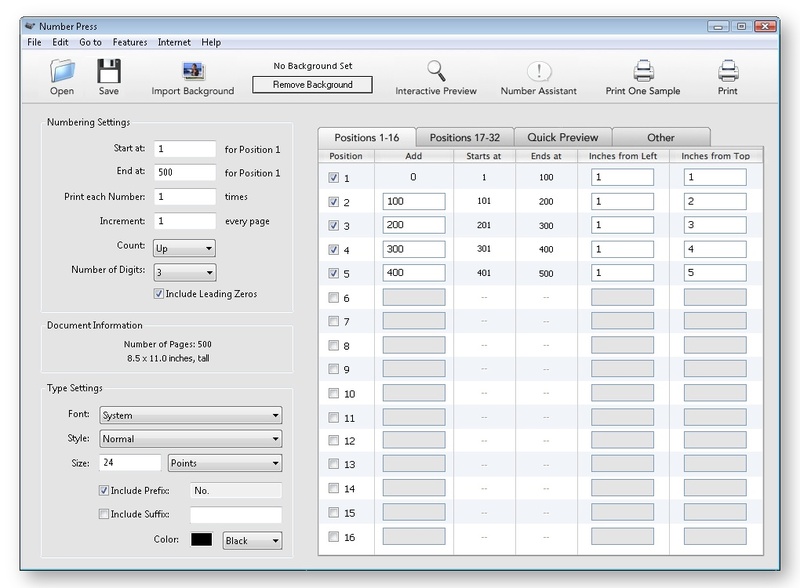 Number Press is the most mature, advanced, and the most up-to-date numbering software for today's needs with numerous numbering techniques. 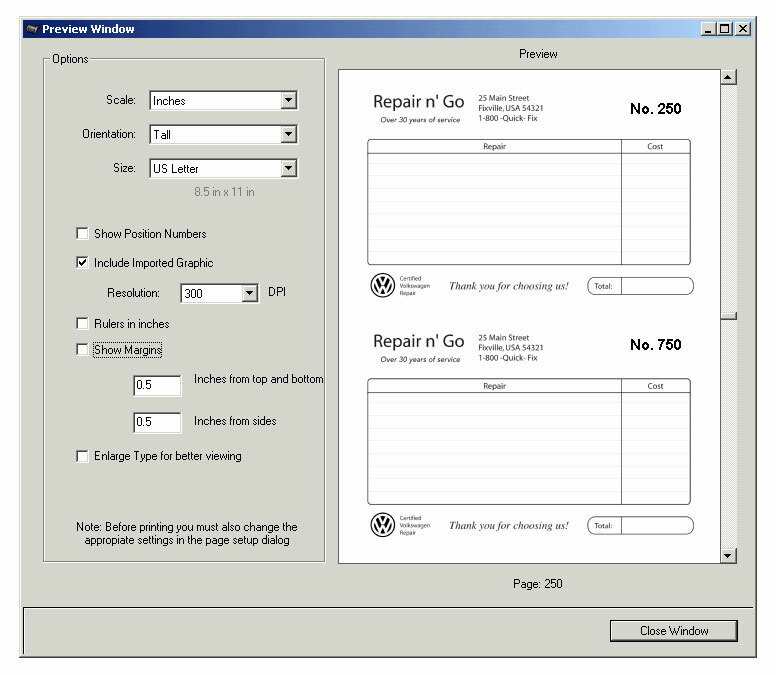 With years of experience, version 8 was built around the feedback given by print shops and users worldwide for superior performance. 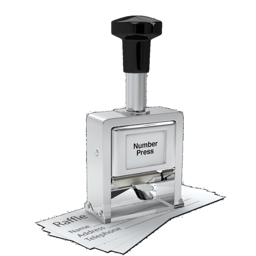 The new Number Press includes the power, speed, and ease-of-use you demanded and deserve! 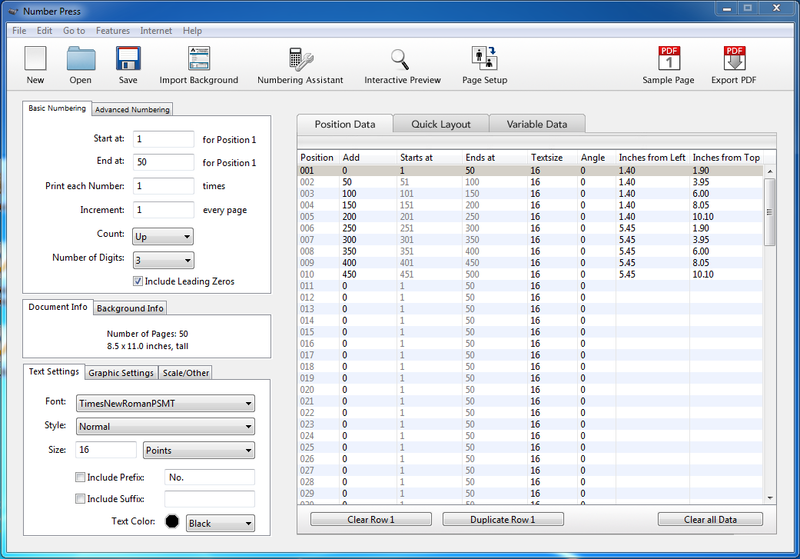 Number Press can create a numbered PDF of 10000 pages in only a couple of minutes on a 2 GHz computer. 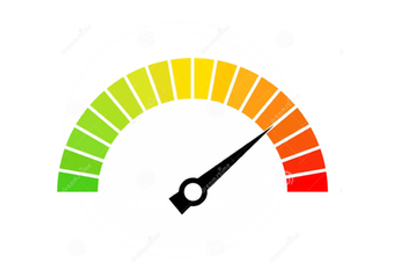 Even if your computer is five years old, the program can spool far faster than any high-speed laser printer can possibly print. THAT'S FAST! 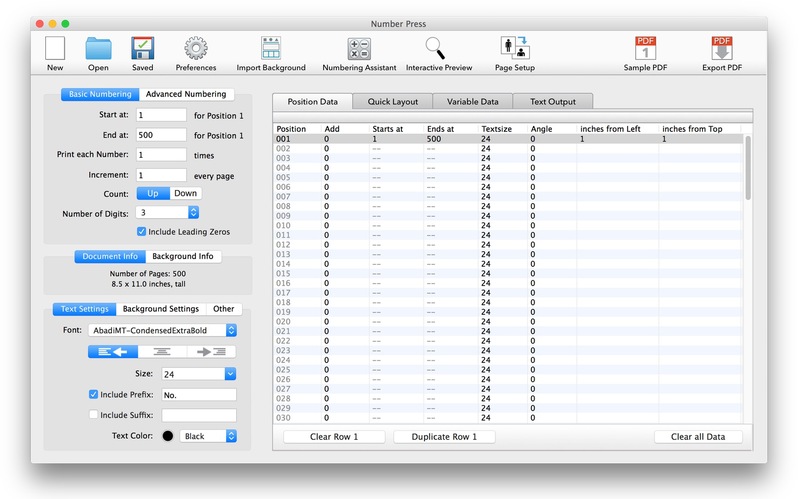 The Number Press Number Assistant is what makes numbering with Number Press so easy. Other numbering programs require you to think hard about what you want, do math, and waste time with trial and error -- but not Number Press! Do you want to print 2000 raffles 5-up? Or 12,392 forms 8-up? Not a problem! All you need to do is open the Number Assistant, fill in a few fields, then click done -- all your numbering settings are automatically inputted! 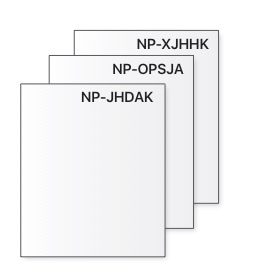 Variable Data Numbering  Serial Numbers, Product Packaging, and more! 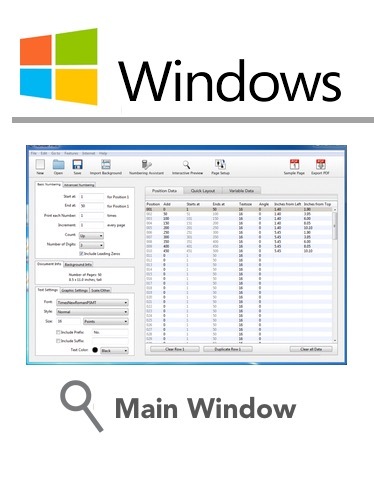 Do you already have a spreadsheet or text file full of serial numbers or other variable data you want numbered? 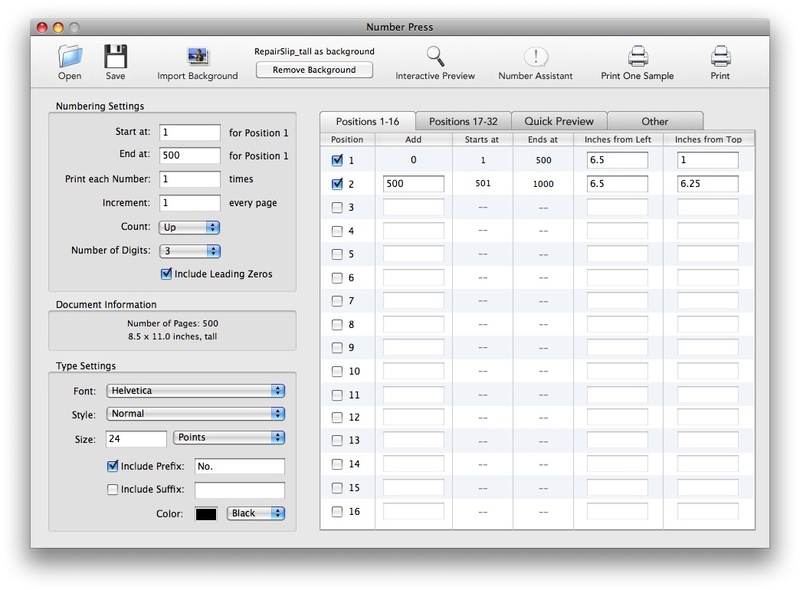 Number Press 8.0 is the only numbering software that does this -- and does it in seconds! Import your .csv (comma-separated variable file) from any spreadsheet application, run through the Number Assistant, and you're done in SECONDS. When you enter your numbering settings, the program automatically runs through them in the background and if they're not logical, the program will suggest more logical numbering settings. 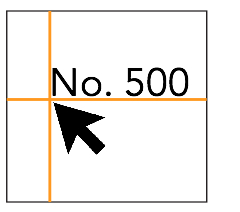 In addition to checking the numbering settings, the dimensions are checked when you type them, the text will temporarily turn red if you are inside the margins or off the edge of the paper. 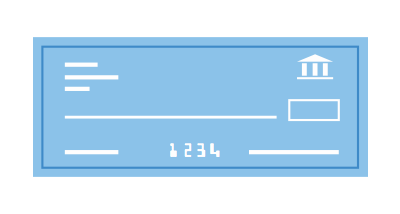 New  MICR for Bank Forms and Check/Cheque Printing! 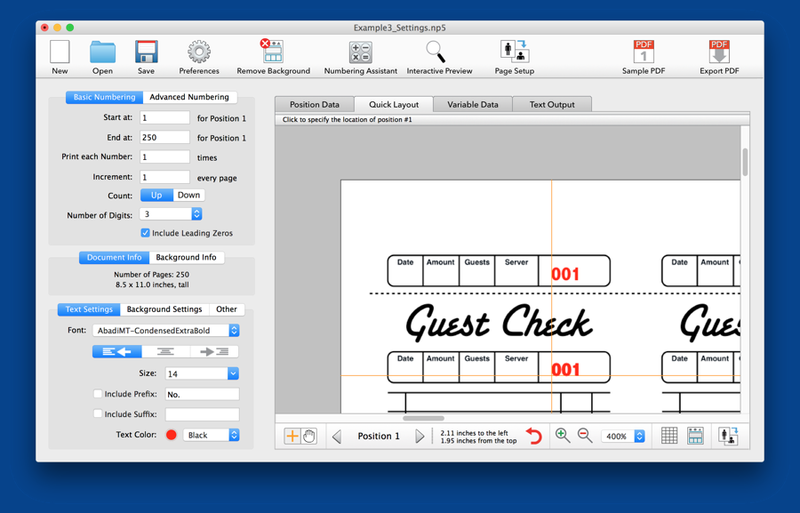 An AMAZING new feature -- Number Press now allows you to get into the check printing business! 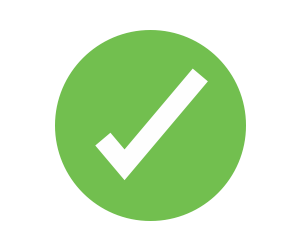 You can now process thousands of checks and bank forms faster than ever before.Includes MICR font that meets US banking specifications, as well as sample jobs. With full documentation, extensive help files complete with eight complete sample jobs built-in, you'll feel confident and secure that Number Press will always help you get the job done. Our friendly support is also just an email away! Don't take our word for it -- try the fully functional demo below! You can test all the features of the full version to see how Number Press will work for you but with "Number Press: Unregistered Version" printed in two locations. 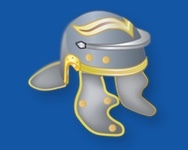 The full version removes this text. NOTE: If you have an older system than this, the software may still work. We encourage you to download the demo to try it. Copyright © 2006-2018 Praeter Software. All rights reserved.